Every year, a family farm called Wooden Shoe, 45 minutes out of Portland, Ore., holds a famous tulip festival to kick off the spectacular spring season. 40 acres of magical tulips. My best buddy, Nala, and I raced through the farm to see why the tulips were so popular. Nala and I racing through the fields. Before we got too dirty, Mom took too many pictures of us enjoying the flowers. I don’t feel like taking pictures today, Mom. There’s my beautiful bestie, Nala. Am I too muddy to be on here? Oh well! Okay, Mom, that’s enough pictures! Woohoo, she finally let me go back to play! I raced through the fields with Nala for hours. Everything smelled so amazing, and we couldn’t stop sniffing every single tulip at the farm. Mom ran around taking pictures of the colorful flowers all day. Mom and Dad’s favorite flowers are the deep-plum-colored tulips called Queen of Night. They are dark and dramatic and look almost black in the evening. Mom got annoyed when she sunk into a big pile of mud! Hehe. Mom stuck in the mud. So after we all made fun of her, she made me take two more ridiculous photos. Now we know why they call it “Wooden Shoe” Tulip Festival. This was Dad’s favorite part of the day. So. Embarrassing. After a long, beautiful day, we decided to head home for the dreaded bath. If you are ever in Oregon between the end of March and early May, do not miss this awesome natural playground with your pup! The event is family-friendly and has plenty of fun activities, rides, and food as well. Stay tuned for my next blog post, where I review waterfalls during our hiking spotlight in the Columbia River Gorge. 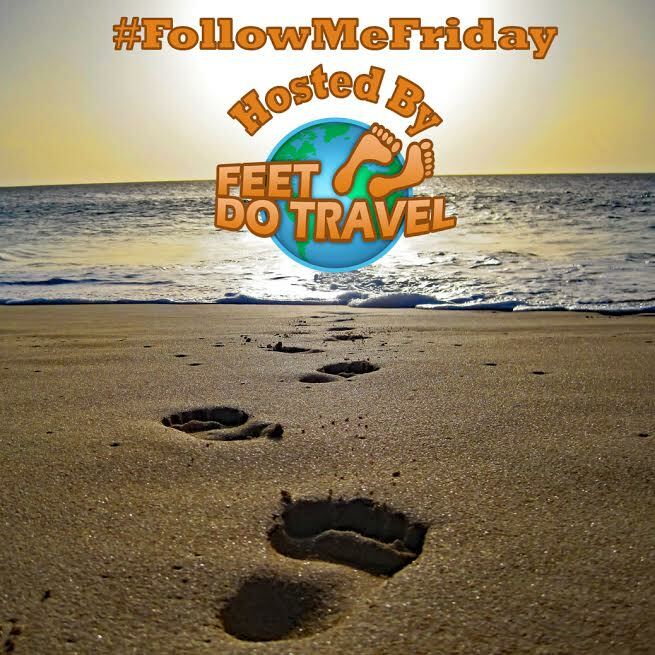 This blog is a member of the #feetdotravel community on Facebook; join us to share travel stories, get travel advice, or read travel inspiration. “The dreaded bath” haha! I’m sorry you couldn’t have had a day of fun without any consequence! The pictures of the flowers are so beautiful it looks like a perfect day out! Beautiful pics, I love tulips. The last pic cracks me up! Ahahaha, I know, Dad made me do it! It was too much fun, I wish we could go back right now! That looks like great fun!! All that mud! But glad you enjoyed the beautiful tulips – they are stunning!! Thanks Steph, we had an amazing time 🙂 you should check it out one day! This is so cute. I’m always looking for dog friendly activities but we are too far for this one. We are lucky to live in a dog-friendly place full of adventure, but I’m sure there are some great places by you too! I bet my pup would love going there, too. However, he is not a fan of baths either! So many beautiful flowers and so much space to play in! Looks amazing and like a really cool event! What a fun – and pretty – day! Love that picture with the white tulips, too! Beauty! The tulips look gorgeous! I especially like the picture of you in mid-run through the flower field. You and Nala looked like you were having so much fun! Glad to see that this is a dog friendly place 🙂 This looks very similar to the Skagit Valley Tulip Fields in Washington. Looks like a great place to spend the afternoon. The dogs looked like they enjoyed it too! We absolutely loved it 🙂 thanks Barry! Looks like these doggies were in heaven, as I would be in surrounded by that many beautiful tulips! I had no idea they had a tulip festival good to know! Thanks for sharing! wow looks like you all had a fun time – the photos look great ! Ah! the most beautiful creatures with the most the most friendly ones. Beautiful pictures, they seem so happy and the pictures of flowers are heavenly. Oh no, well I hope you can get a chance to go to the tulip festival one day and see them again 🙂 It was a beautiful day. This is great! I love the one one the pink bench, so perfect. And the one in the wooden shoe. Your pictures are fantastic as well! I’m glad you had such a great time. I love the tulips!! So beautiful!! I could walk with my dogs all day in a field of flowers. I’m curious about the strap around your dog. What is it used for? I have a harness for my dogs but it goes on much like a bra. Does it help with pulling? I have always used a harness on my dogs but they have always ‘pulled’ during walks. Our groomer believes it’s a instinctive reaction to having the harness on. Tulips are my favourite flowers and yet I didn’t know that there is a festival in Oregon! I’ll have to add it to my bucket list! Enter your email address to follow Scarlett's blog and receive notifications of new posts by email. How can I woof you?